In 2006, when 17-year-old Alex Morgan visited the University of California, she noticed how most students got around: Vespas, the Italian scooters that cruise up and down the sprawling hilly campus. Morgan, who’d just landed herself a soccer scholarship, turned to her father and tried to negotiate herself a scooter. “My dad was like, ‘No way, that’s ridiculous. I’m not getting you a scooter,’” Morgan said. But Morgan didn’t let up, and her father made her a deal: If she got her motorcycle license, he’d look into it. So Morgan spent a Saturday driving motorcycles in a parking lot. Her father upheld his end of the bargain and ordered an assemble-yourself scooter from China. The Big Chief was “supposedly a two-seater” and Morgan’s freshman year roommate was scooter-less, so first day of class, Morgan offered to give her a ride. Team practices were at the top of a real hill, a big one. The Big Chief could not make it up the incline. It's an ironic image—Morgan riding this hunk of metal as it fails to accelerate up the hill—considering Morgan’s own career. She arrived late to the game, not starting club soccer until she was 14, and also faced a decent incline. But her gift of acceleration allowed her to take that hill full speed. 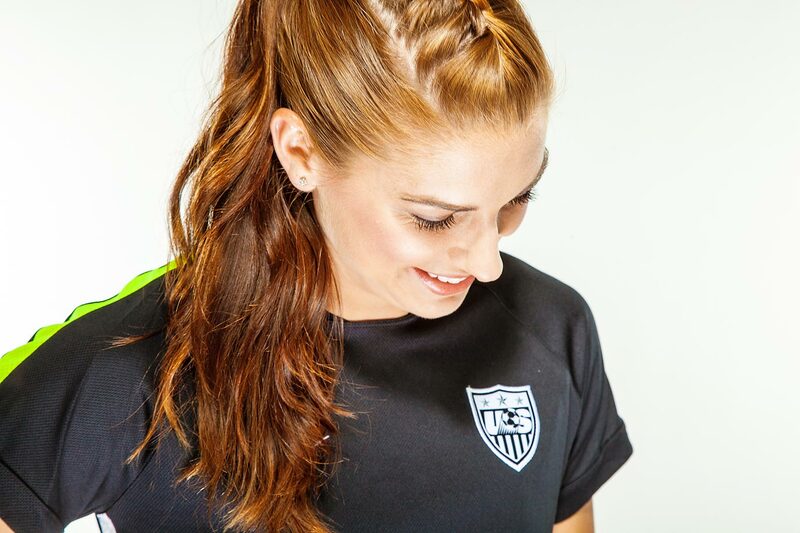 At 14, as Morgan pointed out, coaches are already recruiting, but she "wasn’t even on the radar.” But three years later, at 17, she was on the U-20 national team, and in March 2010, she got her first call-up to the senior team. 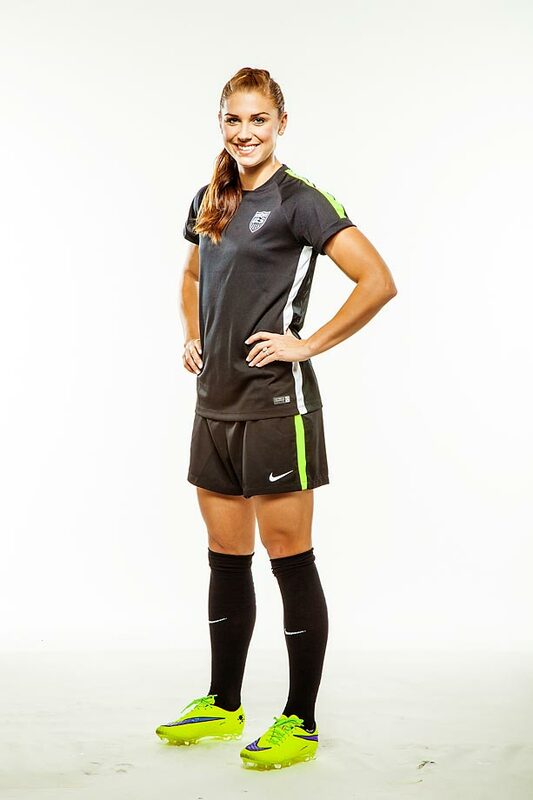 In 2011, at 22, she became the youngest member of the U.S. World Cup team. Her late foray into the game meant she still had a complex with the ball at her feet. In the off-season, in addition to doing individual training sessions with the coaching staff, she trained and played pickup with the Cal men’s team, which included future husband Servando Carrasco. In these games, she could no longer rely on her speed to beat a player. These experiences had a major impact on her skill level, but she credits her experiences abroad with her true understanding of what soccer truly meant. In the spring of her junior year of college, Morgan studied abroad in Madrid. Every day she’d head out to the futsal court with a ball and play by herself. Eventually, guys starting coming around. They’d pass the ball to her, but they’d make sure to get it right back. But then Morgan would score from half court, bend it into the small goal and their tune would change. While these pickup games may not have done much to improve her skill, her time in Spain gave her a greater appreciation of the game. 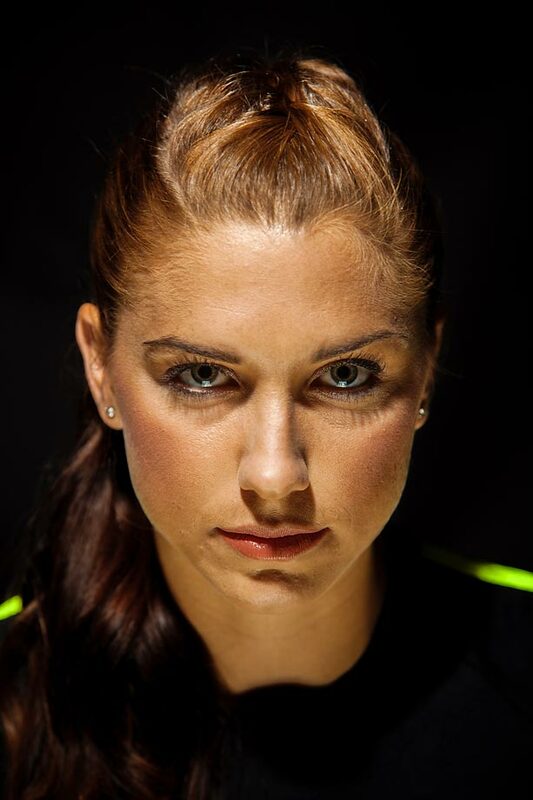 “It made me love the language of soccer around the world,” Morgan said. She started really paying attention to international soccer. 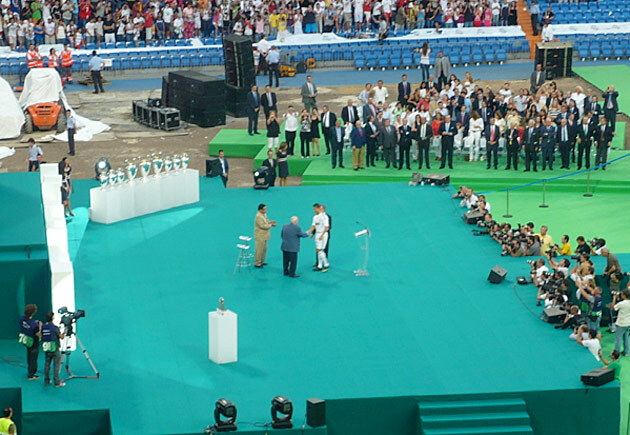 She remembers watching Cristiano Ronaldo’s introduction to Real Madrid, sitting on a ledge, 80,000 plus people crammed into a stadium, witnessing the widespread excitement. In the 2011 World Cup, the world was introduced to Morgan. Dubbed “Baby Horse” by her teammates, thanks to her youth and the sheer force in her stride, she came in off the bench and changed the game. She scored in the 82nd minute in the semifinal against France and then again in the final against Japan. 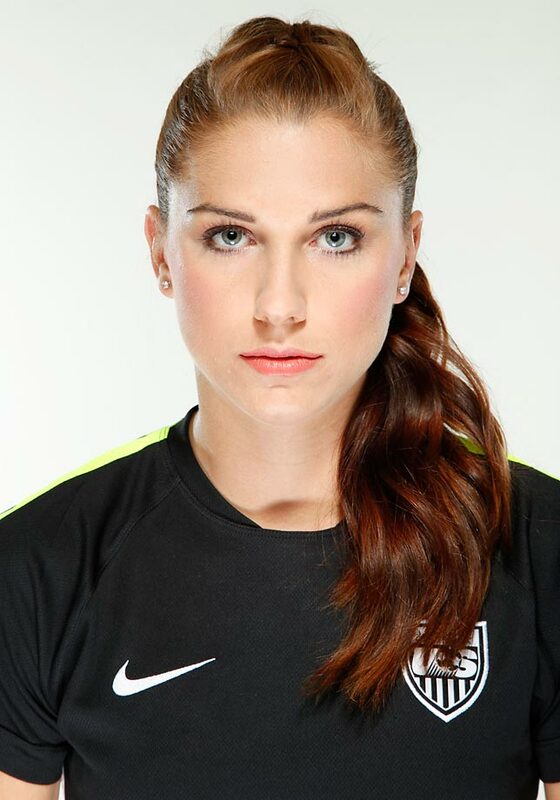 In the 2012 London Olympics, she scored the game-winning goal in the 123rd minute of the semifinal game against Canada. She finished the year with 28 goals and 21 assists, joining Mia Hamm as the only American women to score 20 goals and collect 20 assists in the same calendar year. In 2015, Morgan, now 25, is no longer a rookie, no longer the kid who’s insecure with the ball at her feet–evidenced by her nutmeg in a match against France earlier this year. Her gift of acceleration has been flanked with skill for which she’s worked hard. 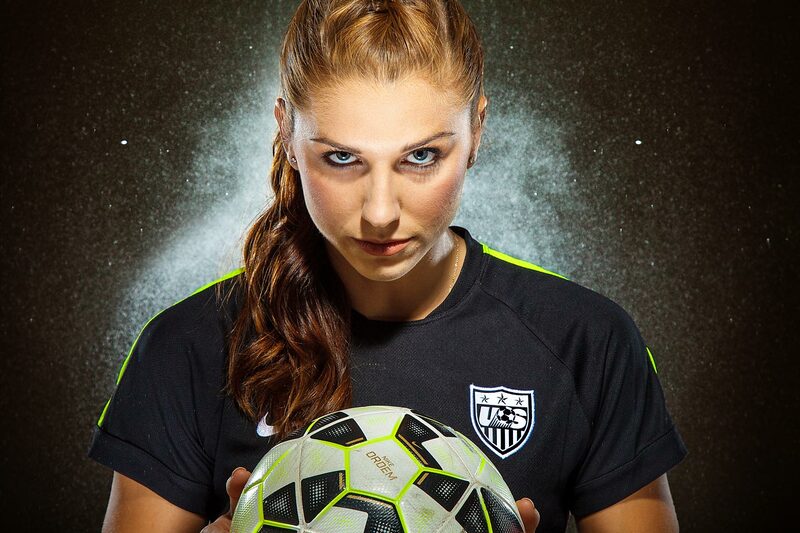 Nursing a bone bruise to her left knee, she’s been out for the past three friendlies, and U.S. fans are concerned. But Morgan is determined. Gwendolyn Oxenham is the author of Finding the Game: Three Years, Twenty-Five Countries, and the Search for Pickup Soccer and the co-director of Pelada. Her website is gwendolynoxenham.com and she can be followed on Twitter @gwenoxenham.